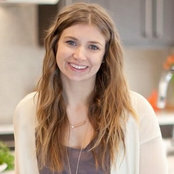 Commented: Hi! 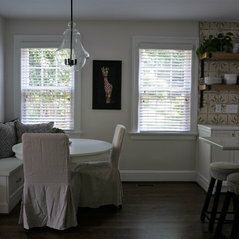 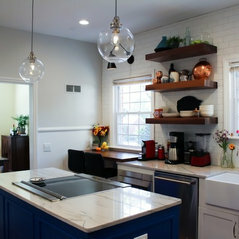 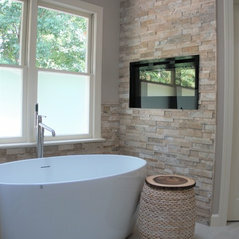 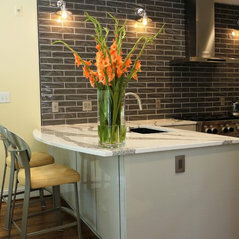 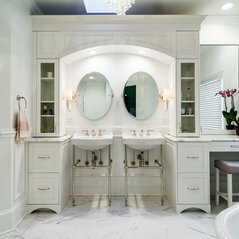 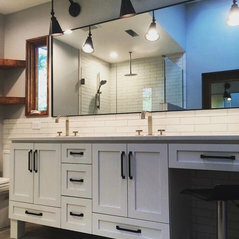 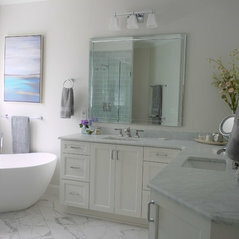 Can you tell me what tile is used on the backsplash?Hi Nicole! 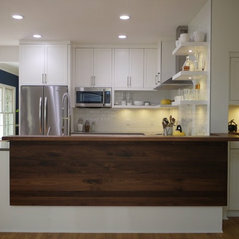 Thanks for your question. 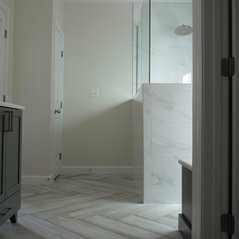 This is a 3x12 ceramic tile from a local tile company. 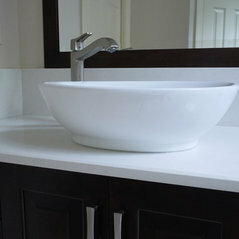 It is a matte white with a slight texture to it, that adds a nice detail. 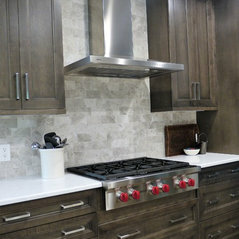 We used white grout as well. 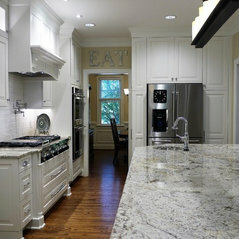 Commented: Beautiful counters, what are they?Hi Kathy, and thank you! 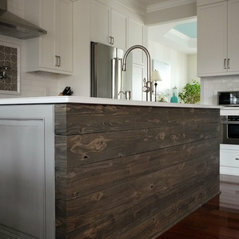 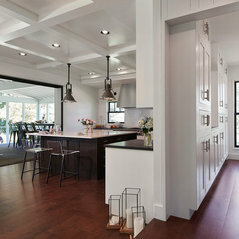 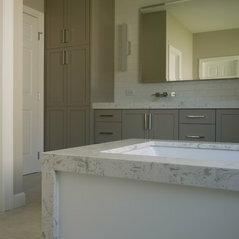 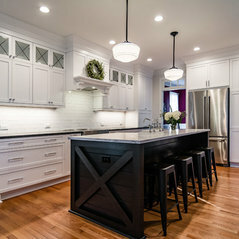 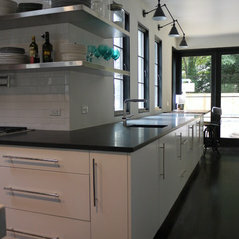 The counters are Calcutta marble and the cabinetry is rift oak stained a dark grey. 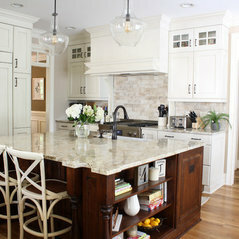 Commented: What is the name of the island countertop?Hello! 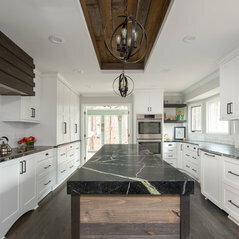 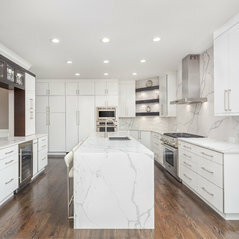 The countertops in this kitchen are Calcutta marble.